Candace McCarthy lives in Delaware with her husband Kevin, whom she married over 40 years ago. She and Kevin have one son, who is now grown and married. Both her son and daughter-in-law are music teachers and they have a three daughters. Candace and Kevin love being grandparents. 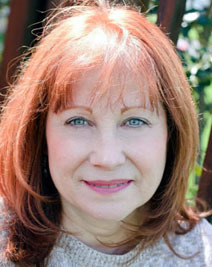 Candace has written for Dell, Pageant, Pinnacle, and Zebra Books, and is the author of 20 romances--18 historicals and two contemporaries. She won the National Reader's Choice Award for her historical romance, White Bear's Woman, and has been voted one of Affaire de Coeur's Top Ten Favorite Authors on more than one occassion. Candace loves to read as well as write. "It's about sitting down and escaping into another world," she says. It's always been her wish to bring enjoyment to others. It was her enjoyment of a particular good book that led her to put pen to paper. "There is nothing more rewarding than making someone smile," Candace says, "or chuckle…or touching their hearts with my work." She is currently at work on another story. Look for her books at your local or online bookstore. Candace's Titles are now available as e-books! Miss any of Candace's titles when they were in print? Now you enjoy many of them on your e-reader. The Bride Price and Cradle Songs now available in the Kindle Store! was originally published in the Zebra Books anthology, Baby in a Basket.